Though we have ready-made safari offers on our site our travel consultants are happy to tailor make an itinerary to your specifications. You can design your own tours by choosing from the list of options on the table and then contacting elizaswanton@hotmail.com directly to let her know what you want. you will then be given a total price for the tour that adds on the water project donation. This will add on £200 to any trip. Contact elizaswanton@hotmail.com - This is the director of water aid matters in Africas email address. Eliza will be able to book your tour. As said before clients are requested to send 30% of the total cost of the tour in order to guarantee the reservation 90 days before their safaris. The balance is due 30 days prior to departure. 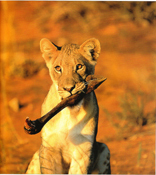 Tour A Safaris One person if on a safari with one other for 3 nights and 4 days in lodges. Tour A Same as above but client finds 3 others to book with in lodges. Tour A Same as above but client finds 3 others and camps. Masai, Meru or Chuga tribal villages seeing how these tribes lived in the passed and how they are adapting to global economical and environmental changes. 2 days for either of these villages. The Masai village is highly recommended for those wanting to experience an authentically different culture from the Western culture. Clients can also visit water projects that Pipe Dreams has installed within the Masai village and so see how some of their donation from the tour will be used for others in similar villages in the future. 3 nights 4 days involve clients seeing Terengire or Manyara depending on the season, Serengeti and Ngorongoro Crator. 2 nights and 3 days involves clients seeing Terengire or Manyara depending on the season and Ngorongoro Crator.